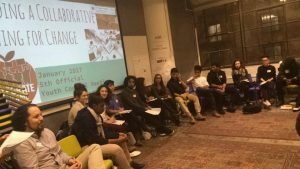 IntegrateNYC4Me hosted its fifth Diversity Council meeting on January 18th at the Center for Social Innovation. 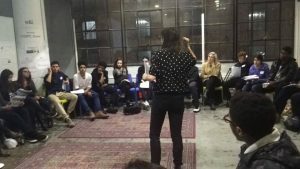 The meeting brought together students, teachers, and adult allies to continue working in the four committees: Race and Enrollment, Resource Allocation, Restorative Justice Committee, and Relationships. nrollment. They established policy recommendations and worked to understand the scope of the Office of School Enrollment. The Resource Allocation committee saw the value in creating partnerships with experts and educators who have worked in the field and intend to deliver their heartfelt stories and personal experiences on how the issue affects them. They hope to meet with lawyers and attorneys before the 15th of February. The Restorative Committee, plan to meet with Chancellor Fariña to discuss changes to disciplinary policies mandated by the D.O.E. Muslim Student Association to be provided in schools as safe spaces. The Integrate teams are dedicated in their pursuit of educational equity, and with every meeting are pioneering the movement for a more integrated school system.